Spikes and dirty power can wreak havoc on your plotter and other electronics. Power surges, voltage events, faulty wiring, and electrical disturbances found in buildings and power supplies can damage the efficiency and reliability of electronic office equipment. These common power problems can cause jams, lockups, image degradation, software corruption, board failures, and catastrophic damage. The Next Gen PCS is the ultimate tool to protect equipment from damaging power disturbances and diagnose your power environment. 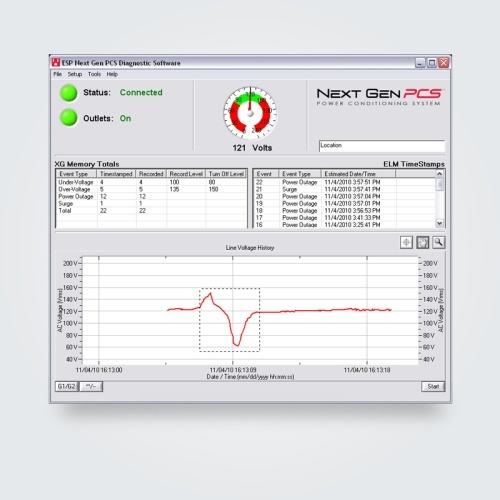 Engineered with state-of-the-art diagnostic software, the Next Gen PCS enables users to monitor power and proactively safeguard equipment from power disturbances. It records time-stamped power anomalies and enables settings to be customized instantaneously. 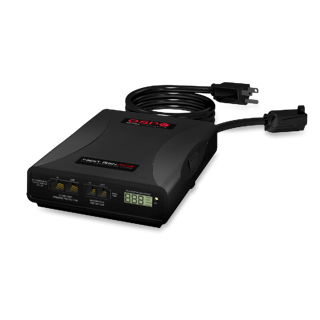 The Next Gen PCS is a comprehensive solution that includes professional-grade Multi-Stage power protection to safeguard connected equipment from damaging surges, spikes, over/under voltage, and wiring faults that can damage equipment. Have more questions? Connect with us for more insight.